The 9th annual Language Science Day is scheduled for Friday, October 5, 2018. 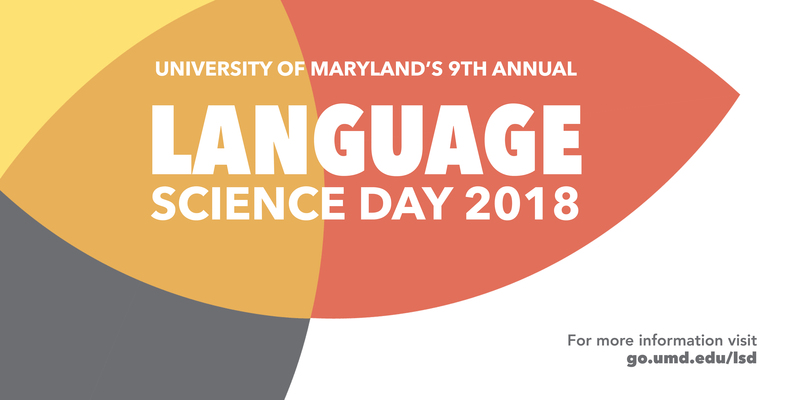 Language Science Day (LSD) is a signature annual event for Maryland's language science community, bringing together up to 200 students and faculty from across the university and affiliated centers. 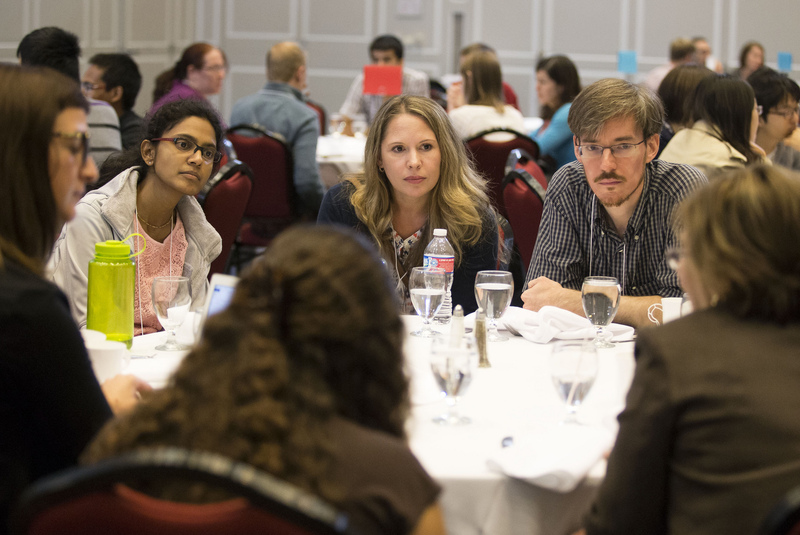 Participants get to know their fellow language scientists, exchange ideas, showcase their research, and discover opportunities for training or collaboration. Please register to attend by Friday, September 28. If you would also like to participate in the poster session, register here for your research group. The plenary session will feature a panel of faculty from different fields discussing the values that drive their research. We aim to build a shared vision of language science that incorporates the full range of contributions from different disciplines--not just the borders and bridges between them. The community showcase highlights ongoing work by language scientists all over campus. It's a great opportunity to learn about unfamiliar corners of language science research, make cross-disciplinary connections, and find out about opportunities for training, outreach, and advocacy. 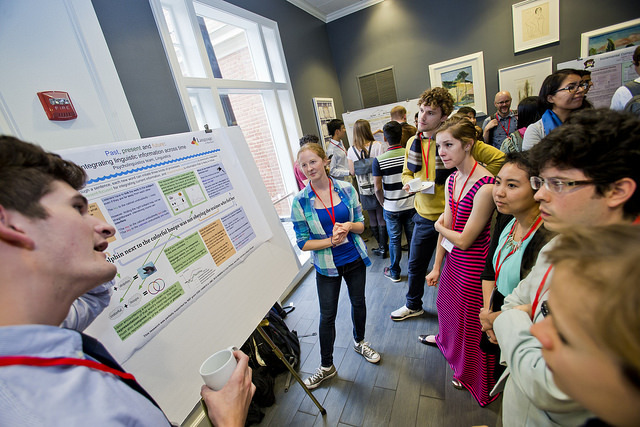 Any labs, research teams, and other collaborative groups are invited to present a poster about their work. We welcome participation by faculty, grad students, undergraduates, and other research staff. We want to hear about anything related to language science, including basic and applied research, training initiatives, community outreach, and policy or advocacy work. If you would like to present a poster, register your group by Friday, 9/28! Keep in mind that given the diverse audience, you should avoid using a conference poster about a very specific project. Think big picture: we want to understand your long term goals and the broader impacts of your work. This session aims to clarify the requirements and opportunities associated with the Language Science Fellows (LSF) program. Specifically, we hope to clear up some misconceptions about program requirements, clarify the role of the NRT grant within the LSF program, and advertise some opportunities that have been underutilized. Please join us if you're a past, present, or future mentor of a student participating in the program.